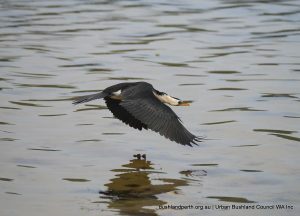 The Swan Estuary Reserves Action Group Inc. was formed in 2010 in response to a pressing need for action to ensure the long-term health and well-being of three very special areas in the Swan River Estuary that have been set aside by the wider community as A-Class Reserves. Members volunteer their time and expertise to restore and strengthen the resilience of native habitat in each of the Reserves. 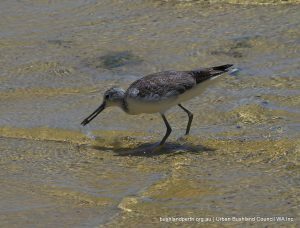 SERAG Inc. is supporting both DEC and the City of Melville in various projects to restore large sections of the Alfred Cove A-Class Reserve and adjacent areas of remnant bushland. Riverbanks and State NRM funding is being used to remove large swathes of Typha orientalis, stands of Japanese pepper, giant reed and pampas and kikuyu grasses from the foreshore near Tompkins Park, replacing these weeds with a variety of indigenous vegetation species. The site includes areas of particular sensitivity, with the presence of acid sulphate soils of great concern. Environmental Community Grants have also been used to foster the resilience of the Reserve to environmental and community pressures. 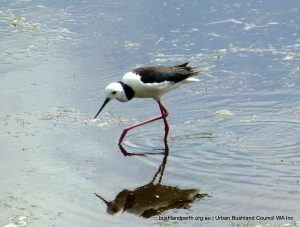 As the Reserve is too small and under such significant urban pressures to enable natural restoration processes, weed-management and plantings will aim to strengthen, protect and maintain the diversity of the shoreline vegetation along the Attadale and Alfred Cove foreshore of the Swan Estuary Marine Park, providing habitat for fauna, including trans-equatorial wading birds. SERAG Inc. is working closely with the City of South Perth and DEC to restore this highly degraded Reserve next to the Kwinana Freeway in South Perth. Riverbanks funding will assist in implementing a long-term project to address erosion at Milyu. Coir matting is being secured in areas vulnerable to storms and then closely planted with sedges. The funding will also allow for the spraying of certain weed species and for plantings of a diverse range of shrubs and trees. The planting of sedges and other vegetation will take place during the winter months, while erosion-control strategies will be implemented in the later months of the year. Given the success of applications for State NRM Community and Caring for Our Country grants, Pelican Point provides a major focus for our efforts. Significant funding has been received, allowing us to develop and commence a long-term management strategy. This involves steadily replacing endemic weeds with native vegetation, installing matting planted with sedges to manage erosion from boat-wash and winter storms, and communication strategies to inform the wider community of the enormous importance of the Reserve. Of critical importance is the development of a comprehensive weed-management and bush-restoration plan that will allow for the steady improvement of the vegetation which provides habitat for both local and migratory birds. Read more about our projects on our website.